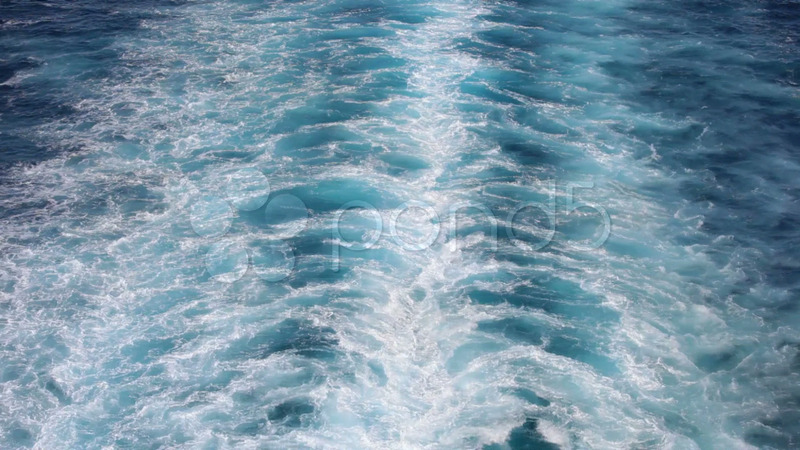 Description: Ocean wake emerald blue behind cruise ship in Pacific Ocean. Close view of water turbulence behind boat. Can be used for commercial international trade or tourism. Beautiful turquoise water. HD 1080 video. Don Despain of Rekindle Photo.